Jane and Melody learn that men are never what the seem...for good and for ill.
With the rise in popularity of books like Pride and Prejudice and Zombies and Sense and Sensibility and Sea Monsters, as well as the growth of the Steampunk genre, there has been a renewed interest in the classical style of writing. While Jane Austen hardly qualifies as fantasy, genre writers tend to be on the leading edge of trends in literature. 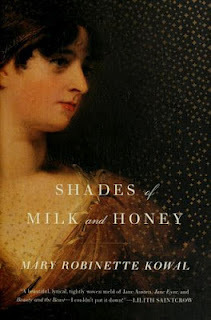 Mary Robinette Kowal, with Shades of Milk and Honey, has masterfully infused the gentle Regency romance with just a touch of magic to add to its beauty. Along with other womanly arts, any woman of Quality also learns to manipulate the strands of ether that make up the universe. Rather like working a personal glamour, these can be used to affect the senses. On can project the warm glow of sunlight to a dark corner, add tinkling strains of harpsichord to a parlor, or perhaps hide an unfortunate set of teeth. Of course, different women have different aptitudes for this skill, but most agree that a house isn't a home without these small comforts. This is the one area in which Jane truly excels. Creeping ever closer to being a spinster, Jane's looks have never been her strong point. With overly strong features, Plain Jane is a particularly apt expression. So it's only natural that she is overshadowed by her beautiful younger sister Melody. Both are still on the look-out for possible suitors, and while they don't stand to inherit terribly much, their father has put aside enough for a decent dowry for each of them. But one fateful summer, things begin to change. Men can drive a wedge between even the closest of sisters, and just because one is of marriageable age doesn't mean that she has the wisdom to see men for what they are. As the situation becomes more and more dangerous for the girls, help comes from the most unexpected of sources. And sometimes the most affable and social have even more to hide than the quiet ones. Shades of Milk and Honey is a solid period piece set in Regency England. The only fantasy element, the 'glamour' that mostly women work, simply compliments the gentle story of the Ellsworth girls and the small social dramas of the area. Details from the speech to the social mores to the styles of dress are meticulously researched and plotted so that the reader often forgets that she is reading a modern piece. Kowal even goes so far as to have created a 'Jane Austen Dictionary' in her world processing program that flags any word that does not appear in a Jane Austen novel, so she can research it and see if the word or concept existed at the time. It's this attention to detail that raises Shades of Milk and Honey far above the traditional period gimmick and makes it an excellent debut novel. In all, this is a very quiet book. Even when the story quickens and some of the plots come to light, there is still the dance of social niceties to be adhered to. Fantasy fans who want to see the women throw off the constraints of society and charge into battle will be sorely disappointed. The only problem that I foresee is the book not finding many of the readers that would most appreciate it. While in some ways a fantasy book, it is much slower paced than most on the shelves. 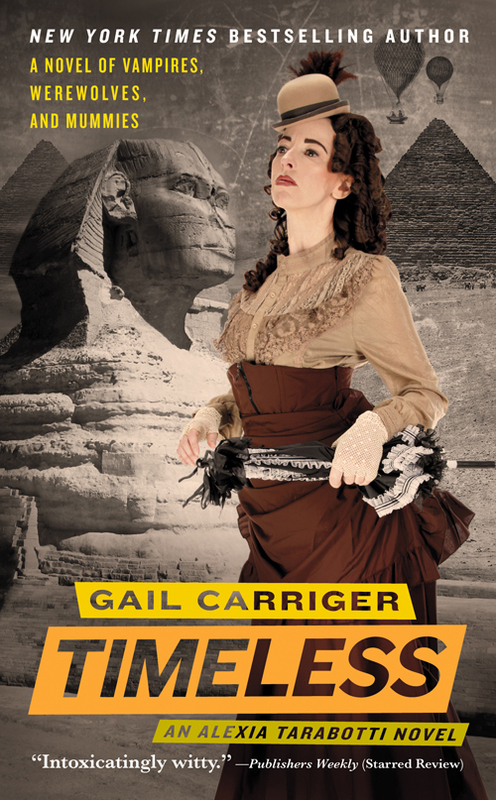 While a period piece, there is nary a dirigible nor vampire in sight. In fact, many readers of mainstream fiction would quite enjoy the story, but may never know it exists simply because of the section of the bookstore or library in which it resides. Perhaps the best way for this book to gain notice among people who wouldn't otherwise find it is word-of-mouth. So if you end up enjoying this book, make sure that those who are less adventurous in their reading find this gem. Highs: Watching the speed at which Jane can analyze and replicate some of Mr. Vincent's most elaborate glamour tricks, and his consternation at it, is fun to watch. Lows: It'll be hard to find the people patient enough to enjoy this style of writing among those who typically scan the fantasy shelves, and those expecting High Fantasy of Urban Fantasy action will be sorely disappointed. Verdict: A delightful piece of period fiction with well-developed characters and prose meant to be savored. A school production of Romeo and Juliet spirals completely out of control, and Akane tries cooking once again in Ranma 1/2 Volume 7. 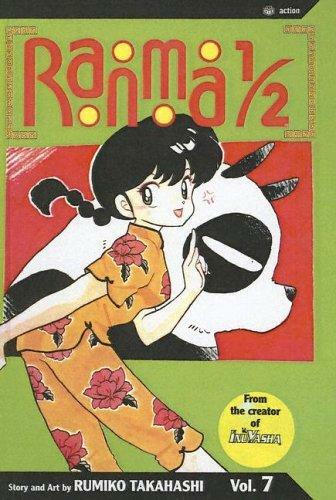 Note: Ranma 1/2 Volume 7 is, of course, the sequel to Ranma 1/2 Volume 6. The review for Ranma 1/2 Volume 1 is here, and the review for Ranma 1/2 Volume 6 is here. Otherwise, read on! If I raised a cat from the dead, I'd name it Lazarus, too. 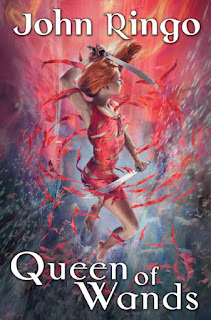 Barbara Everette is back, fighting for the Light in the second Special Circumstances book Queen of Wands by John Ringo. Note: Queen of Wands is the second book of the Special Circumstances series. The review of the first book, Princess of Wands is here. Otherwise, read on! From pickpockets to fugitives to yakuza, our favorite unlicensed doctor works on all types in Black Jack Volume 4. Note: Black Jack Volume 4 is, of course, the sequel to Black Jack Volume 3. The Vertical edition is published not in chronological order, but in the preferred order of Osamu Tezuka, so spoilers are not generally a problem. The review for Black Jack Volume 1 is here, and the review for Black Jack Volume 3 is here. Otherwise, read on! In the near future, a virus strikes North America. Large swatches of the population die, and hospitals are overrun with patients. Border states' hospitals are hit especially hard, with people from all over Mexico and points south fleeing to the US for heathcare. Eventually, the country becomes completely isolationist and closes the southern border, building a wall and stationing military outposts in some of the former border towns. Many of these towns have been abandoned, any people remaining within them no longer considered United States citizens. Welcome to Santa Olivia, the titular town in the novel by Jacqueline Carey. The own has been under military rule for a generation. The children growing up there now have no memory of a city not patrolled by military men with their egos and their cruelties. They don't remember all the buildings of their town being full, with a working power grid and hot running water. They have never lived in a city with full grocery stores, proper schools and churches, and the ability to come and go from town as they please. There was one outside visitor, though. A man who, at first, didn't say much. Just showed up at the diner and had a few plates of chorizo and eggs. But Carmen knew there was something different about him. Something about the way his uniform didn't fit quite right, the way he moved, the way his eyes darted around the diner. Not scared exactly, but aware. Very aware. He didn't stay long. Longer than he meant to, though. The military was looking for him too hard to stay. But he stayed long enough to tell Carmen about his origins. About his plans to meet up with other people like himself in Mexico. About how to care for the baby he left behind. That baby grew up to be Loup Garron. She took after her father quite a bit. Faster than other kids her age. Stronger, too. Completely fearless. So fearless that, as a child, her half-brother Tommy had to teach her how to think about consequences, so she wouldn't do things that most sensible children would be afraid to. Standing upright on the peak of a slanted roof, and leaning over to see, for one. There's one way out of this place, though. The General may be corrupt as hell, and let the street gangs run the civilian part of town. He many let his soldiers do whatever they like in town, and always side with them if a civilian has the audacity to complain. But he loves boxing. If a civilian takes a prizefight and loses to one of his soldiers, he still walks away with a purse large enough to give his family a certain measure of comfort that his day job wouldn't be able to afford otherwise. The true prize, if a civilian were able to pull off a victory, would be two tickets out of Santa Olivia, back North to the real world. 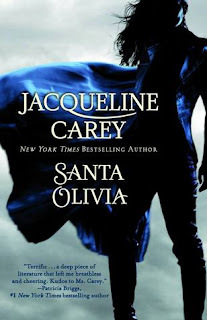 As things get worse and worse for the people of Santa Olivia, they start to look for a hero. The priest in the Catholic Church ins't a real priest, but he runs a free lunch each day for the citizens who have fallen on hard times, and he runs the orphanage where Loup eventually ends up. The gangs are too busy with their night clubs and black market to challenge the status quo. It'll take someone with nothing left to lose. With the innate skills to beat a trained soldier in the boxing ring. Someone born on Santa Olivia's name-day, and can pass for the Saint herself in a blue dress and white kerchief, holding a basket of plenty. Jacqueline Carey is more famous for her epic fantasy novel Kushiel's Dart and the series that it spawned. This foray into a sort of post-apocalyptic urban fantasy is quite well done, though. The characters are fleshed out, from the leader of the boxing club to the smallest of the orphans at the church. The characters behave properly in their situations, and even the military behaves with a certain kind of military logic. Even the townspeople, who learn to live with the military, the shortages, and the strange specter of war looming over them. It's a nice turn on the 'chosen one' type of story, with enough logic behind it that it doesn't feel like the characters just fell into place. Highs: For once, the other-ness that most teens go through is real, not just imagined. Lows: I wish a bit more of the world at large was revealed here. Verdict: Not your typical Carey fare, but a fascinating novel with a revenge edge. Yotsuba learns about recycling, becomes a milkman, and even gets herself grounded in Yotsuba&! Volume 6. Note: Yotsuba&! Volume 6 is, of course, the sequel to Yotsuba&! Volume 5. The review of Yotsuba&! Volume 1 is here, and the review of Yotsuba&! Volume 5 is here. Otherwise, read on! When the Pet Avengers Throgg leave this plane, they assemble to find their lost comrade in Lockjaw and the Pet Avengers Unleashed. 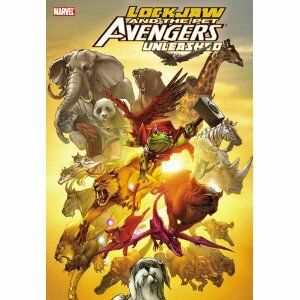 Note: Lockjaw and the Pet Avengers Unleashed is the sequel to Lockjaw and the Pet Avengers. The review of Lockjaw and the Pet Avengers is here. Otherwise, read on! Asumi learns that the entrance exams to space school are just the beginning of the trials that she will face in Twin Spica Volume 2. Note: Twin Spica Volume 2 is, of course, the sequel to Twin Spica Volume 1. 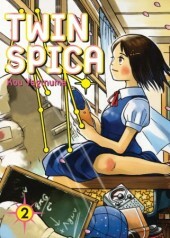 The review for Twin Spica Volume 1 is here. Otherwise, read on!